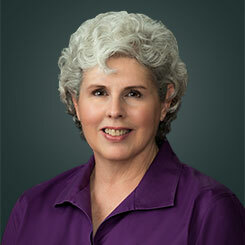 Dr. Elaine Stewart is a licensed Naturopathic physician. She graduated from Southwest College of Naturopathic Medicine and Health Sciences in Tempe, AZ. She also has Masters’ degrees in Nutrition, Health Administration and Gerontology. Dr. Elaine Stewart found Naturopathic medicine when she returned home to take care of her mother before she passed away. She felt that if she had known about Naturopathic medicine, she could have done more to improve her mother’s quality of life during the months before her passing. Naturopathic medicine combined her previous education and experience in nutrition, healthcare administration and gerontology. Her passion is healthy aging at all ages and especially for those Baby Boomers who are entering into the next stage of life. What she knows is that change is possible right up to the moment of death and that, with encouragement, people can do amazing things in their lives. A big component of achieving new interests or lifelong dreams is good health. In Naturopathic medicine, the focus is on removing the root cause of illness and supporting the body to do what it does naturally, heal itself. She became interested in WHEN because it focuses on the connection between mind, body and spirit. Understanding the power of the mind helped her to see that many people make themselves sick by the thoughts they think and the emotional, physical and spiritual trauma they carry in their bodies. WHEN this trauma is recognized and released, people can become their best selves. People need guidance and support to address these issues. She directly relates to the Power of When® for people to know and hopefully achieve! WHEN focuses on health, well-being and, importantly career as this is often a root cause of dissatisfaction and illness in life. Supporting people in taking charge of their lives, health and happiness is empowering and very satisfying to Dr. Stewart. She has been and continues to be on her own transformational journey and this is a wonderful opportunity for her to grow as well. She maintains both a WHEN HEALTH ADVISOR® CERTIFICATE and a WHEN BEING ADVISOR™ CERTIFICATE of Completion while serving as CHO and Lead Trainer within the WHEN HEALTH area.